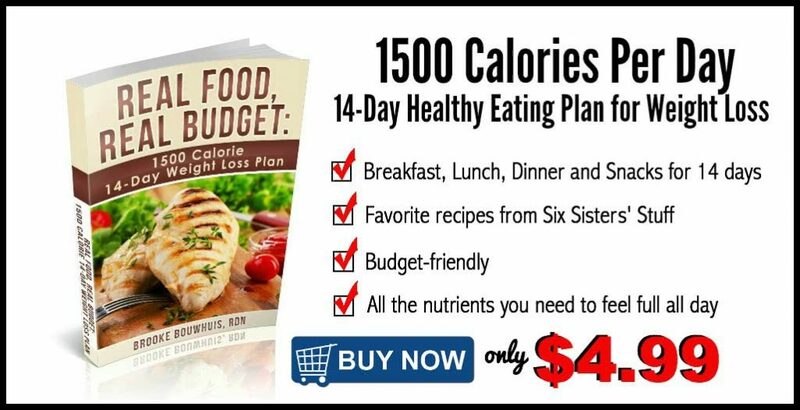 As we have been putting together our healthy menu plans over on Six Sisters’ Strong, we hired a registered dietitian to help us make sure that each day’s meal plan had the right amount of protein, carbs, and fats to keep you energized, feeling full, but still help you lose weight. We decided to ask Brooke (the registered dietitian that we have been working with) what she recommends as far as snacks . 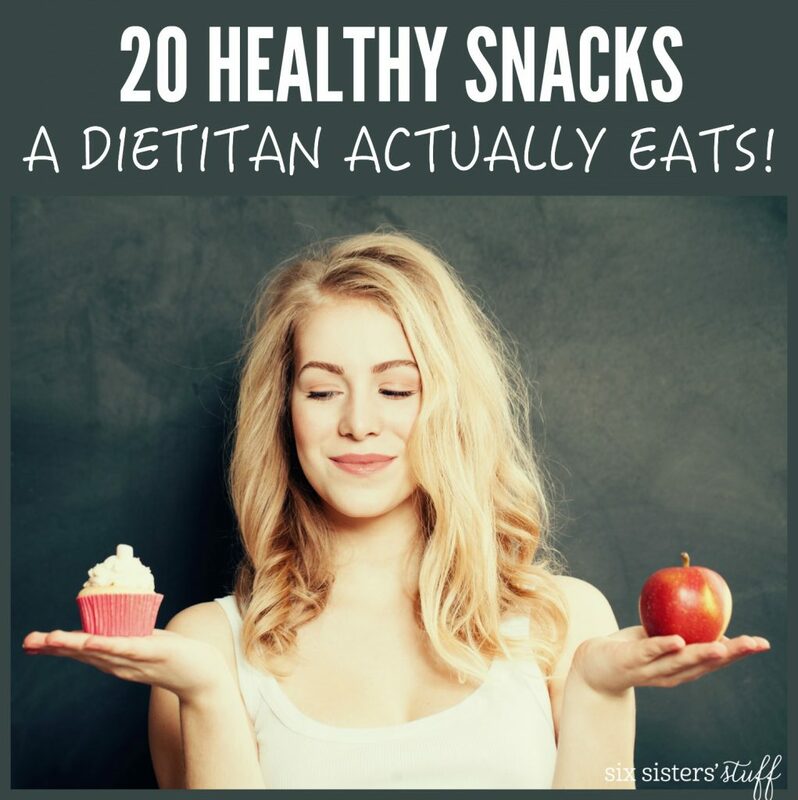 . . here were some of her favorites that she actually eats herself each day! –Drink water ALL day long. Have 2-4 cups of water RIGHT when you wake up, then a cup with breakfast, lunch, dinner, and every snack. Water is going to keep you hydrated and feeling full. -Try to stick to REAL foods. Avoid (as much as possible) foods that are processed. 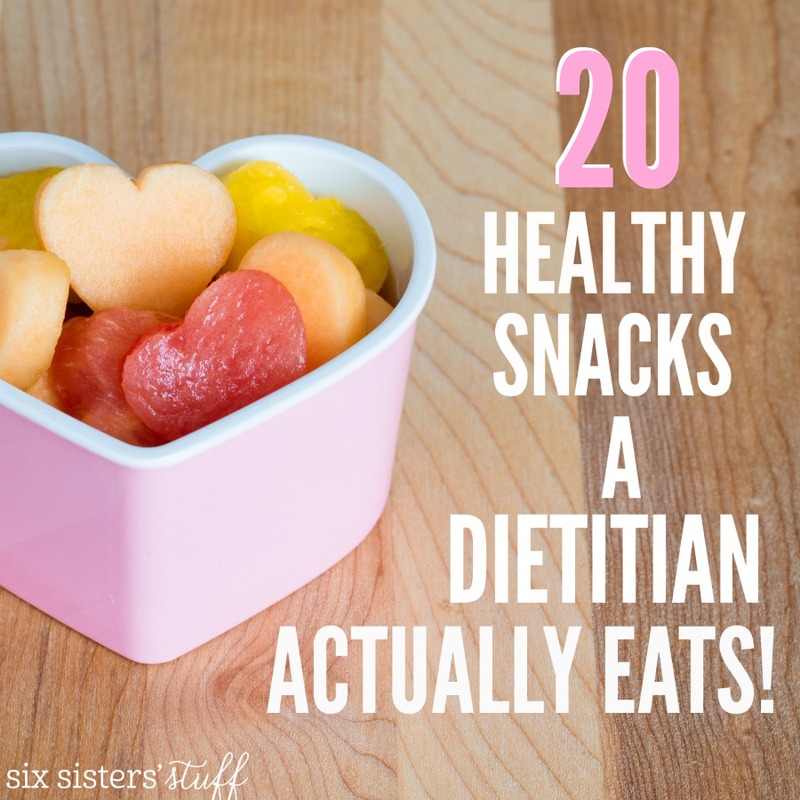 Stick to foods that contain ingredients you can pronounce. For more health and fitness ideas, be sure to check out our website: Six Sisters’ Strong! Thanks so much, Christine!! We couldn't agree more . . . the education that RD's have is amazing and we knew that we needed professional help! I never thought to try sweet potato raw...but I love plain baked sweet potato, so I'm going to have to give that a try! Thanks for sharing healthy options from a reliable source!